Marine Hydrophore is a large container that used to provide fresh water for living and cleaning of ship and offshore platforms. 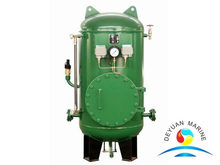 As a professional &leading supplier of Marine Hydrophore,deyuan marine offer a wide variety of Marine Hydrophore or pressure boosting units for selection. 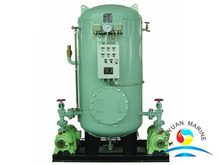 we can offer single unit Marine Hydrophore or complete package with pump,control cabinet,piping and valves etc. If you are interested,pls donot hesitate to contact us for more details.